Please accept my free gift! Each person who subscribes to my mailing list gets access to my free pattern library. 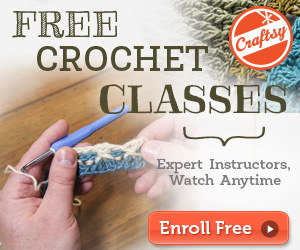 The patterns are easy enough for beginning crocheters to make. They crochet up quickly for gifts. And they use less than a skein of yarn, so stashbusters! Add your info to the form below, and you’ll get instructions on how to download your patterns today and start crocheting immediately! Here are just a few of the patterns available in the free pattern library. I add more regularly. The name “Mermaid Fingerless Gloves” was inspired by little shell stitch and gentle feminine scallops of this pattern. Use a soft yarn with a nice sheen and you will feel so girly when you slip these fingerless gloves on your arms. 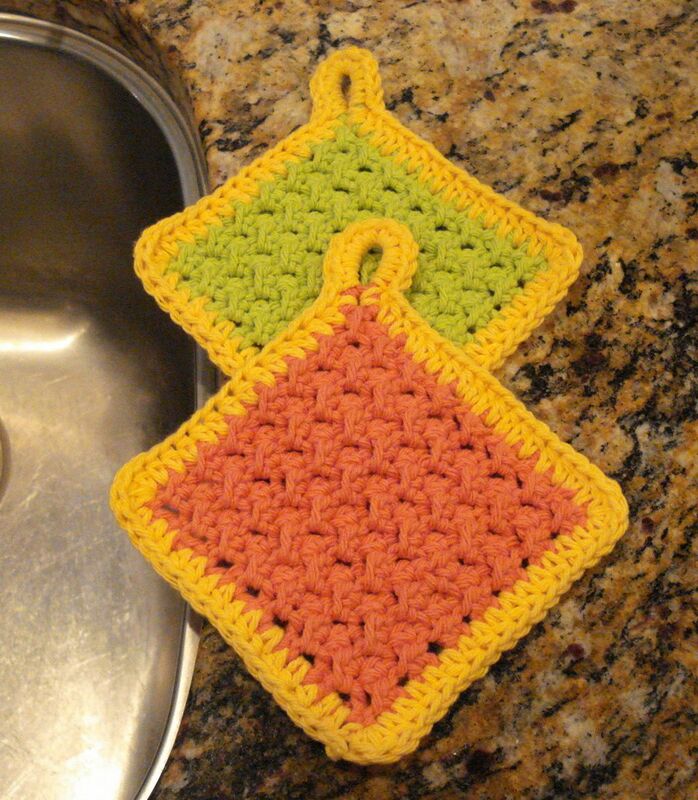 I love a good cotton washcloth for cleaning up in the kitchen, but I’m also a big fan of scrubbies. Their smaller size makes them ideal for getting inside cups or smaller cleaning jobs. So I decided to combine the two items and make a small cotton scrubby. 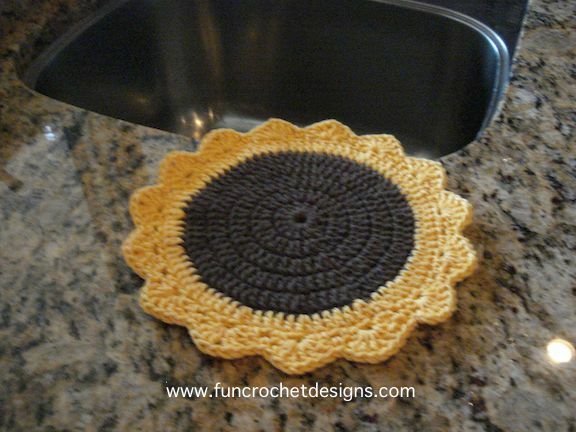 The Moss Stitch has a texture that looks great and is ideal for scrubbing. 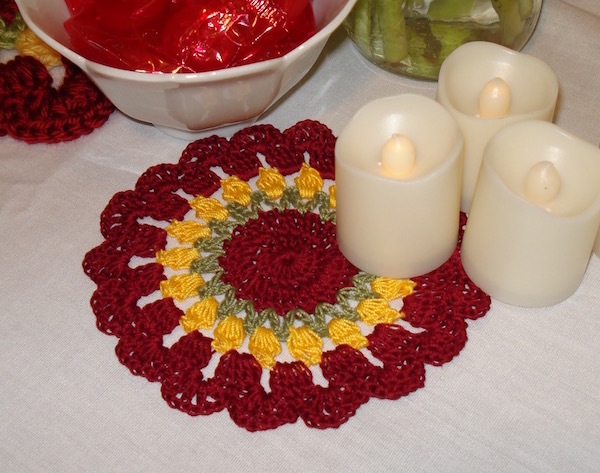 The Tulips Doily Pattern offers directions for two different sized doilies utilizing the beautiful tulip stitch. One uses Simply Soft, the other #10 crochet cotton. Add a bouquet of flowers to any tabletop!